In a session, I draw from a vast body of knowledge, skills, experience, training, a deeply developed intuition, and an attunement of hearts. I carefully listen to your story, your words and language. How you describe what concerns you is as important as what you describe. I find that often language connects us to the very center of what we trying to express and deep listening can discern this.I observe your energy, your body and feel into how your story, your issue, your dream, your discomfort or your peace is living and manifesting through your body. Through my intuition, my heart and my hands, I tune into the living energy, the resonance of the bodymindspirit. Depending upon the focus or need articulated, I draw from everything I know to facilitate positive change. Some sessions may utilize a lot of sound, some sessions may be gentle, deep Trager® based sessions. Some sessions may be highly emotional and cathartic, some may be energetically connecting clients to very altered states of consciousness and knowing, some may be movement based. All have the focus and intention of bringing about greater wholeness of oneself as a human being, an attainment to one’s path and essential self. Authentic Movement is a simple yet deep practice which implements the wisdom of the physical body as a vehicle for inner knowing. As a result, profound inner acceptance and compassion for oneself and for others takes root and grows. Energy Work can identify and release stressors that have been experienced and internalized and have become part of patterned behavior. The result is freedom from the stressor and the ability to make different choices in your life. Sound, from music to the sound of rain, drumming, breathing, toning, words, has a powerful affect on our well-being. 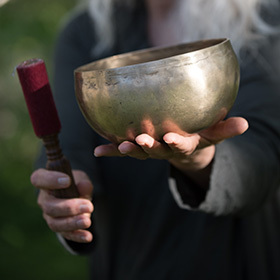 Sound Healing is effective for physical, emotional, energetic and spiritual healing. How would it feel to be at peace in your body? Light? Soft? Spacious? To be at peace in your body, to let it be: Trager® Movement work teaches this. 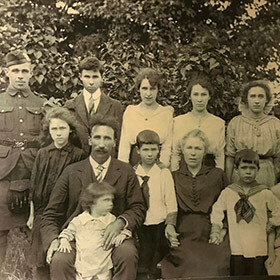 Family Constellations workshops help release the inherited dynamics that underlie depression, anxieties, addictions & lack of joy. 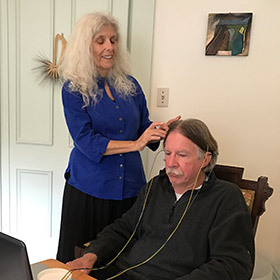 Unlike other neurofeedback systems, NeurOptimal® is designed to focus on the central nervous system – the hub of all functions in the human body. Jan Sandman has a gift. I had some personal blocks that I had been working through, and honestly one session with Jan did more than 12 "counseling" sessions with a therapist. She is intuitive, caring, loving, and kind. She brought me to a place in a matter of weeks, that otherwise may have taken me years to breakthrough to. I have referred several others to Jan, and they all have the same life changing improvements after seeing her. Jan is a gift. After years of teaching and school counseling, I am pretty good at keeping things straight and organized. This winter was a different story, however. I spent the winter helping my pregnant daughter with her three year old son while her husband worked out of the country. At 64, twelve hour days with a three year old are quite taxing. I found that my brain was constantly spinning with the specifics of safety for a small child, keeping track of groceries and meal planning, household chores, scheduling and just trying to keep up with my own personal issues--bill paying, organization etc. My daughter and I split ten sessions of NeurOptimal Neurofeedback training. What a difference it made! After the second session, my daughter noticed a specific change in me. I could finish a sentence without going to another topic because the thoughts in my head had slowed down enough for me to articulate them before moving on to another idea. My feeling of being overwhelmed was much easier to deal with. There was still a lot to do and it was still stressful, but much more manageable. I felt normal again. I looked forward to listening to the music and having thirty minutes to myself. The grounded feeling remains six months later. I am able to concentrate on one thing at a time. I don't feel like I'm just spinning inside my brain. I highly recommend it to anyone who may have trouble concentrating. "Working with Jan Sandman is always beneficial for me. 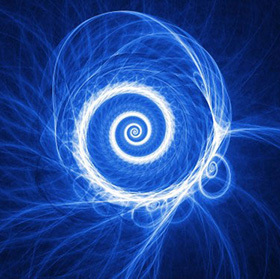 Her natural ability to witness me and my emotions, while staying connected to her divine center, creates an atmosphere of healing. Time after time in Jan's space I have felt held to access my deep grief and then with her guidance move through it, eventually letting the weight of it fall away." When I first came to Jan, I was in crisis in my personal and artistic life. I knew I didn’t want to do just “talk therapy”. 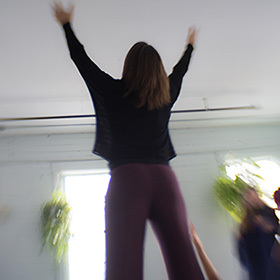 I needed body work, touch, a kinesthetic modality to move towards deeper self-understanding, centering and healing. Jan has been my steady spiritual, emotional guide. She uses words, massage, sound, dreamwork, whatever she intuits will speak most powerfully to me in any given moment. Under her guidance I have learned to sound the depths of my being, find and hold my center. She has helped me to understand in a visceral way how to release psychic pain, unlock creative energy, re-establish my roots in the earth, and finally, find courage and peace. When things are going well in my life, seeing Jan is a treat; when they are not, she is my lifeline. Jan brings remarkable sensitivity to her work in Family Constellations. She follows the unfolding process with patience and respect allowing it to fully manifest in the group. Most important, I experience safety as she enables the healing that needs to occur to flow thru each participant. Her work is quite remarkable. I have had the privilege of working with Jan for sometime now. I came to her with many mysterious undiagnosed symptoms. By the time I was diagnosed with Lyme, symptoms were extremely painful and severe, and my functioning was limited or not at all. Lyme effected all aspects of my being. Working with Jan has been an integral part of my healing and recovery back to vitality. Over the years I have found her work immensely helpful, curative, clarifying, and refreshing. I have often experienced her work In deeply profound ways. She has an ability to hear beyond words, and to work with all aspects of my being that opens a path of healing and wholeness. I come away with physical comfort, as well as a new perspective, even a shift, in my way of being, so that I am more aware of who I am and how I can be with my body in health. I experience such giant, glorious waves of gratitude at the end of a private session with Jan. The waves begin with deep thanks for Jan and they always overflow so all details of my life and existence come into clear, lovely focus and I am glad to be alive, filled with amazement and appreciation and thankful for my life, my loved ones, for the leaves on the sidewalk as I leave her office, for everything. Jan listens to me and beyond me. I trust her. Jan is luminous! Her eyes sparkle with gentle kindness and good humor, innocence and knowing. There is a Safe Harbor quality to being with Jan and experiencing this quality alone feels so comforting and healing. Using an unpredictable variety of healing methods according to what has come up, with her exquisite intuition, Jan heals and nurtures. She finds her way to welcome forward my true Self - my elemental nature that tends to hide and leave me lost and out of sync. A private session with Jan brings me into my center, into sync with my Self, into alignment with knowing that All is well, All is as it should be, and So it is. "In what started as a relationship based on listening to my body's wisdom, Jan Sandman has become a guide beyond my dearest dreams. We are working together on a sacred project, the landscape of which is my body as the container of my soul, and energy, the sinew that binds me here. Jan has great intuitive capacity, deep humility, and vast love. She is gentle and direct in her ministrations, and her presence is nourishing and constant. Jan is among the most attentive healers across a variety of helping and medical professions from which I have sought support. She is a reverent listener with evident respect for her clients and her work. Jan's knowledge, warmth, and humor are emphasized by an innate ability to read the play of energy states which, combined with capable teaching that is broadly informed, results in exquisitely delicate guidance founded in essence." "When I think of Jan's work two words immediately come to mind - constant integrity." I wanted to take some time to talk to any potential clients that might be considering working with Jan.
First of all, JAN is AMAZING! I am a firm believer that the “head” and the “body” are all connected. She knows how to activate my cells and my mind so that they communicate together, alas, helping me to open to deeper places. This is one of the reasons I have gone to Jan for 20 years. Wherever you are on your path of “life”, whether it is a time of trouble or ease, Jan is always there to feel your vibration and listen intently to all that you are going through. I have had appointments with her when I felt that there wasn’t anything that I was needing, but she, and I, were able to find some places that helped me to discover more about myself and to clear a brighter path. Her life’s work is so deep within her that you can feel it from the moment you look at her. And then when she expresses herself with such clarity, you know you are heard and in a safe place. I have referred many a friend to Jan, and each one has called me soon after their session, thanking me for the introduction. I have been blessed to have Jan in my life and to meet her on many personal levels. I can’t express the importance of having such a woman in my life. Thank you for everything Jan, Thank You! "Jan is a healer, a blessing, a force of nature - a gentle force." "After every visit I feel bliss in this curious, infinite way. My nervous system, my emotions, my perspective - she heals my entire being on a very, very deep level. Jan is highly intuitive. I've never known anyone like her this way. Through my body, she will address each issue I'm having in a way very specific to that issue. Jan has helped me wake up and find strength and health - my SELF really - so I in turn have more to give." "Jan has an exceptional gift for cultivating transformation through self awareness. Deep listening, sound, touch, movement, and energy move through her in a way I have not experienced in another human being. Jan Sandman invites that which is already present in you to emerge, be seen and move wherever is necessary for the highest good." "Jan's depth of presence encourages me to explore my sincere self,which often remains unexpressed in my daily life. Her demeanor is both wisely grounding and joyfully soaring to hold the space that catalyzes willing transformation. I am always surprised by how much I have been able to re-connect with my whole being and discover something new through the process of moving and witnessing with Jan."
"Jan Sandman graces my life path daily"
"I have known Jan professionally for fifteen years and she has helped me answer my own questions about my life. Sometimes I will make an appointment with Jan when I just want to get a tune up and there are no pressing matters (when there are pressing matters...watch out!, it flows right out of me) I wonder what we will touch on, and by the time I leave her secure surroundings I find I have just reached another plateau in my life, I am clearer and more confident with my decisions. It is my path that I am living, Jan has the mind and heart to help me with what my internal mind, body and spirit are saying. Through the body, she helps me to bring issues to the surface and.... Voila!...I answer my own questions, by my own self discovery. She is there to listen and to initiate through the body what I myself cannot see from my perspective. I am a lucky person to have Jan in my life. I try to share her beautiful mind/instincts with those willing to take a step forward in their own self discovery. Inevitably, those people always thank me from the bottom to the top of their hearts...for bringing Jan into their lives." 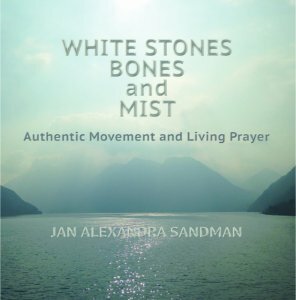 "Jan Sandman is one of the most gifted healers I know. Any words I write will soon need updating because Jan is always expanding and embodying more Love. 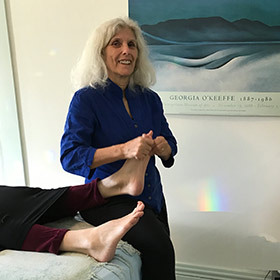 Through Trager Bodywork, Authentic Movement, Sound, Ceremony, and her unwavering connection to that which is Pure Mystery, she has helped my and my family's life in lasting, innumerable, and indescribable ways. She approaches each aspect of her work with rooted integrity, precision, creativity, unparalleled insight, and an utterly profound respect for the needs and nuances of each individual's journey. She is the first person who non-judgmentally understood the particular energies of my unusual body, and over the years, her loving wisdom has helped connect me to myself in ways I had always wanted to but at times did not know how to access or trust. In individual sessions and group work, Jan's presence allows a fuller Reality to safely emerge and flow. She is a rare, inspiring individual and a true teacher who holds and sings for the benefit of all." 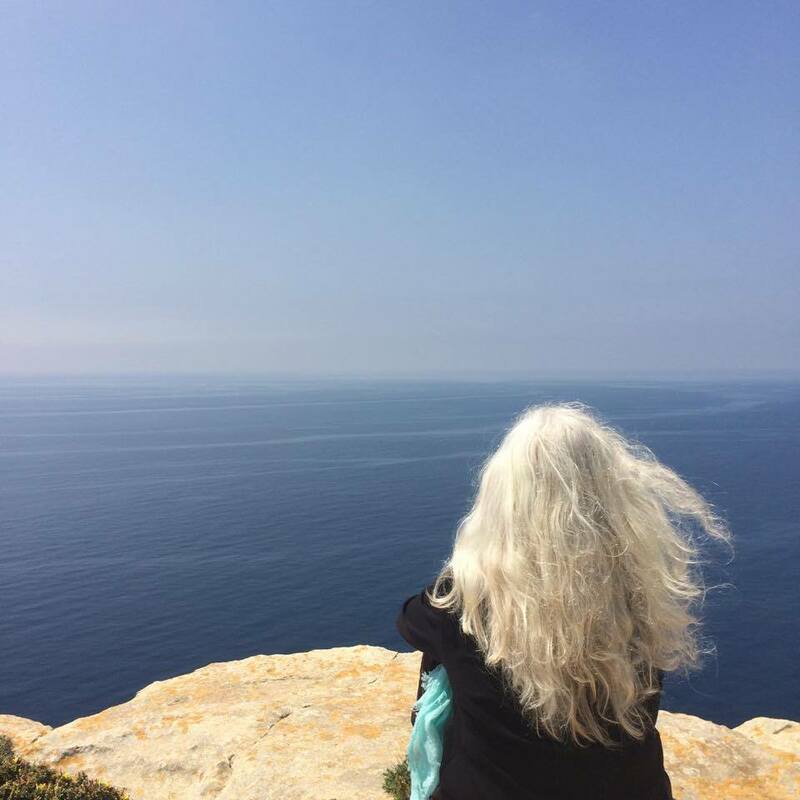 "I experience Jan's work as giving me the gift of exploring the depths of the true self and my connection to everything that exists energetically. In the Authentic Movement class, Jan joins with others to create a sacred space where the body's memory is honored and supported. Learning to access this deep inner wisdom, I've been shown how to witness my life and to trust that what is revealed to me in the moment is perfect for the process of healing and the unfolding of my life's purpose. Through this shared work, I've experienced the transformation of my life, and the rippling effects on my marriage, my family, my community and the world beyond." Jan holds a container and a safe space that allows me to go deeply into myself and confront blockages, challenges, and traumas in my physical body and my emotional body. Through my experiences with NeurOptimal Neurofeedback, Authentic Movement, and Family Constellation work with her, I have let go of a lot of the baggage I was carrying around. The NeurOptimal Neurofeedback calms, relaxes, and helps me manage or release anxieties in a lasting way that carries forward into my life. Even one session can be trans-formative. Authentic Movement opened a door to a community and an individual journey to explore the life forces coursing through our human bodies. A trans-formative practice, it encourages freedom and authenticity on a deep level. I have been going to Jan’s Authentic Movement on and off for 4 years. It is a “class" like non other. It’s a “class” that, I wouldn’t consider a “class”, but a time for “Yourself”. You are able to enter such a “class” with your mind, body, heart and feelings. There are no expectations. It’s all for you to take in, feel and observe yourself and others in a safe place. Which in turn, can help you to be more aware when you are out in the world, in relationship and with family and friends. Jan’s guidance throughout Authentic Movement and her words of wisdom bring such insight to me. I am a professional photographer and I have noticed since taking Authentic Movement with Jan, that I am more aware at work. All of my senses are heightened which allows for more conscious observation. I adore Jan, and all that she brings to the world….and me! I’m so glad our paths have crossed in this lifetime. If you would like to inquire about my services, techniques, courses, or have comments regarding my website, please use the form below. I want you to know that all the data submitted on this form will adhere to strict privacy and confidentiality controls as outlined in the privacy section on our website.